This payload bay liner was flown in space on STS82/Discovery, the second Hubble Space Telescope (HST) Service Mission, from February 11-21, 1997. It is presented on a full colour 8" x 10" approx gloss photograph and mission data sheet is also included. Please note: Each swatch is cut from a sheet of payload bay lining material and as such the piece attached to the presentation may vary from the one shown. Sectional stitching and securing pins are contained within some but not all samples of the material. 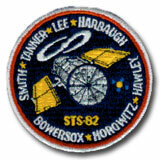 STS-82 was a Hubble Space Telescope servicing mission by Space Shuttle Discovery. The mission launched from Kennedy Space Center, Florida, on February 11, 1997 and returned to earth on February 21, 1997 at Kennedy Space Center. 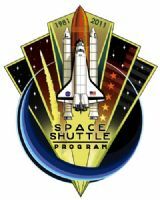 The STS-82 mission was the second in a series of planned servicing missions to the orbiting Hubble Space Telescope (HST). HST was placed in orbit on April 24, 1990 by the Space Shuttle Discovery on STS-31. 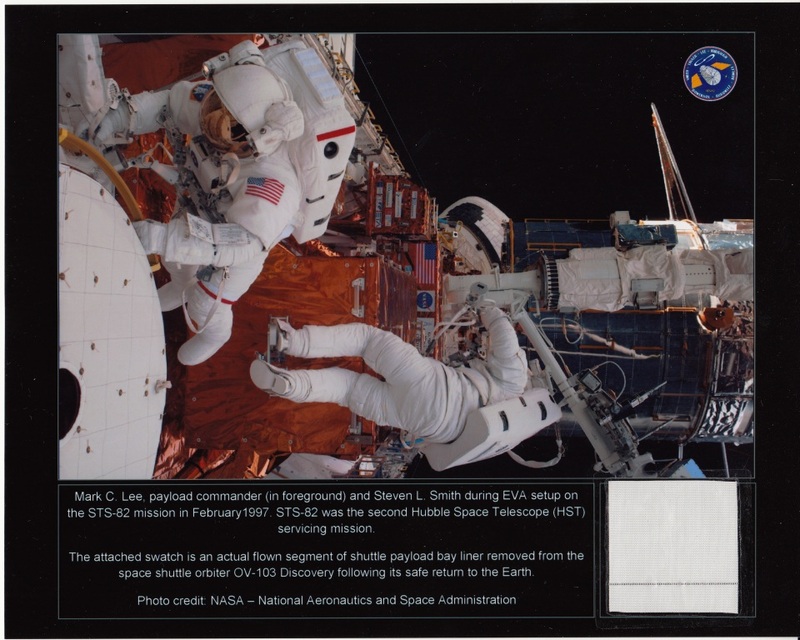 The first servicing mission was done by Space Shuttle Endeavour on STS-61. Work performed on the telescope significantly upgraded the scientific capabilities of the HST and helped to keep the telescope functioning smoothly until the next scheduled servicing missions, which were STS-103 in 1999 and STS-109 in 2002. Starting on the third day of the mission, the seven-member crew were to conduct four spacewalks (also called Extra-vehicular Activities or EVAs) to remove two older instruments and install two new astronomy instruments, as well as other servicing tasks. The two older instruments being replaced are the Goddard High Resolution Spectrograph and the Faint Object Spectrograph. Replacing these instruments are the Space Telescope Imaging Spectrograph (STIS) and the Near Infrared Camera and Multi-Object Spectrometer (NICMOS). HST's current complement of science instruments includes two cameras, two spectrographs, and fine guidance sensors. In addition to installing the new instruments, astronauts will replace other existing hardware with upgrades and spares. Hubble received a refurbished Fine Guidance Sensor, an optical device that is used on HST to provide pointing information for the spacecraft and is used as a scientific instrument for astrometric science. The Solid State Recorder (SSR) will replace one of HST's current reel-to-reel tape recorders. The SSR provides much more flexibility than a reel-to-reel recorder and can store ten times more data. One of Hubble's four Reaction Wheel Assemblies (RWA) will be replaced with a refurbished spare. The RWA is part of Hubble's Pointing Control Subsystem. The RWAs use spin momentum to move the telescope into position. The wheels also maintain the spacecraft in a stable position. The wheel axes are oriented so that the telescope can provide science with only three wheels operating, if required.